First of all everything went well and the whole trip was beyond expectations… and I have been lucky enough to have travelled a bit. How did Swoop and our partners do in helping you plan and arrange your trip? The next day when I arrived at your partners’ offices in Puerto Natales, they had all the paper work done, I received my vouchers, and they then explained the itinerary to me very clearly using a map. After that I was on my own, which is what I wanted. I left my big bag at the hostel and only took with me to Torres what I would require over the next few days, again from when I arrived in the National park until I left everything went so easy, no complications whatsoever. The process of going through Swoop Patagonia and their partner in Puerto Natales was effortless and if I ever had any queries they were dealt with swiftly. The highlight of the trip was the unique scenery and taking it all in, I was lucky to have met people from various countries and every one of them now I would call friends. I went up to San Pedro de Atacama for a week and in hindsight I should not have bothered, it was good and I got a lot out of it, but apart from a couple of places if you want to go anywhere then you had to go by bus or four wheel drive and everywhere you went there were hundreds of people, you never had much control and sometimes like one of those tourist packages not my thing. If I was to give anyone any advice I would say do the longer tour around Torres, go West to East I went East to West, if you go West to East you see the views and give yourself a couple of days more in case you have bad weather then you can go back and see what you have missed at your leisure. 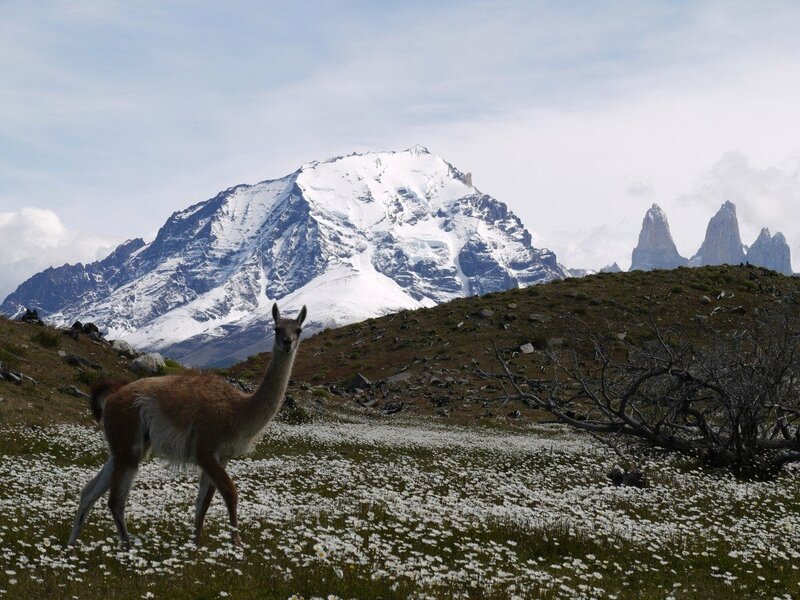 This entry was posted in Reviews, Torres del Paine and tagged Atacama, chile_nativo, independent, Puerto_Natales, Tips, Trekking, W_Circuit on 27th February 2014 by Luke Errington. The highlight of the trip was visiting Perito Merino Glacier. It was one of the most awe inspiring things I have seen. Swoop Patagonia was extremely helpful. 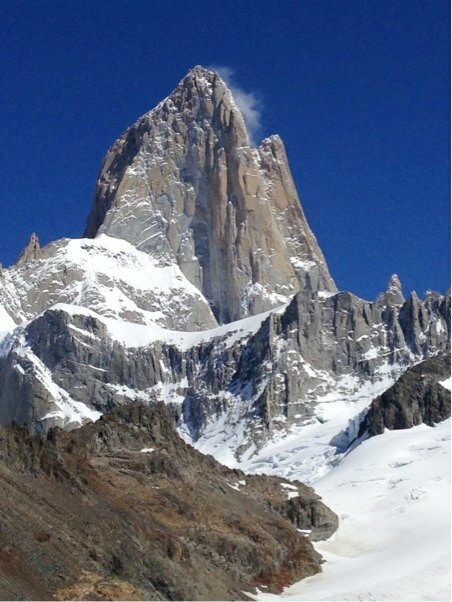 I would highly recommend Swoop Patagonia to anyone considering a trip to Patagonia. Swoop helped make the best use of my time and also helped me identify the must things to do. 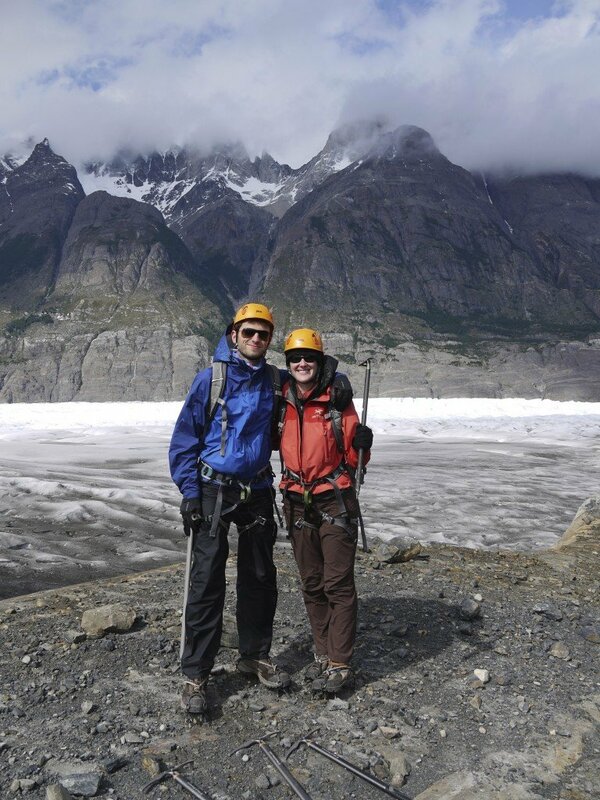 How were the operators we put you in contact with in Torres del Paine and Ushuaia? The operator in Torres del Paine was excellent. Their service was spot on. They were very organized and kept me well informed. The accommodations they arranged for me were perfect. Everything went as planned. The Ushuaia Operator was also very good. Great guides – very knowledgeable, enjoy their jobs, lots of fun and great food. You cannot go wrong recommending them to future clients. This is not your fault; it’s totally on me but I wish I knew I needed the Reciprocity Form completed and paid for before I left home. I was not allowed to board the plane to Buenos Aries without. I Lost a day of my trip because of it. I thought I could pay for it when I arrived. I now see this is mentioned on your website but with so much coming at me I did not see it. Thank you so much for your help. My trip was an excellent experience. You saved me much time and the trip flowed beautifully. After I arrived I could relax and just go with the flow as a result of your help. 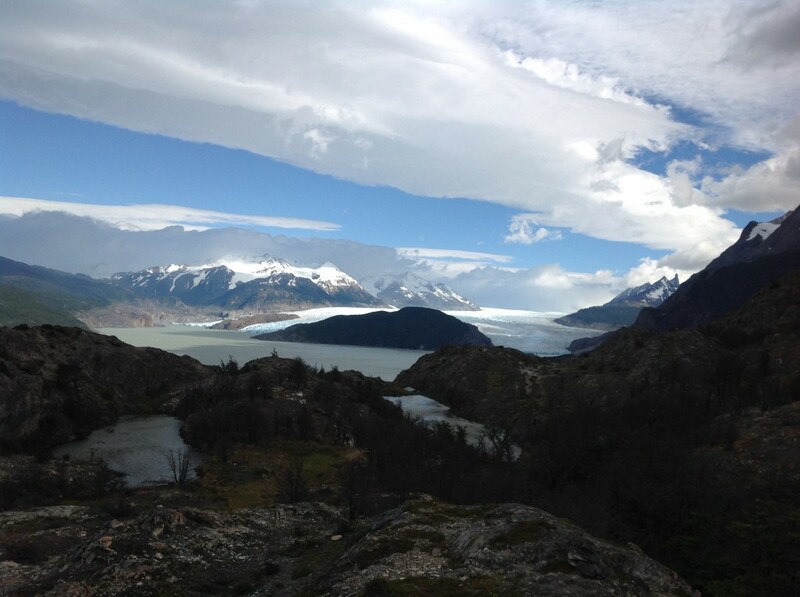 This entry was posted in Los Glaciares, Reviews, Torres del Paine, Ushuaia and tagged accommodation, canal fun, chile_nativo, El Calafate, Perito_Moreno, Puerto_Natales, Punta_Arenas, reciprocity, Tierra_del_Fuego, Torres_del_Paine, Trekking, ushuaia, W_Circuit on 13th January 2014 by Luke Errington. The entire 5 days was a highlight. Each day brought a different hike and ever changing views to be in awe of. We lucked out with the weather…it only rained one afternoon on the day of our shortest trek, so we were pretty much done hiking and were then able to hang out in the refugio by the wood stove while reading and playing cards. How would you rate the operator that Swoop Patagonia introduced you to? Laura was really easy to work with, very helpful and responsive to our needs. The logistics of the trip were well planned, with each transfer being convenient and right on time. The guides all did a fantastic job with being readily available and more than willing to help out. Mauricio (lead guide) did a great job explaining what the day would entail, as well as reviewing the plans for the next day after dinner each night. He was always ready to go at the appointed time. The food (preparation and amount) was excellent by the guides as well. Do you have any advice or recommendations for other travellers? We stayed in Remota Hotel while in Puerto Natales. I would definitely recommend this hotel to any of your clients. The service was outstanding, the hotel is architecturally interesting, and the food was fantastic. Great, thanks again for all of your help. Our family had an absolutely outstanding trip! 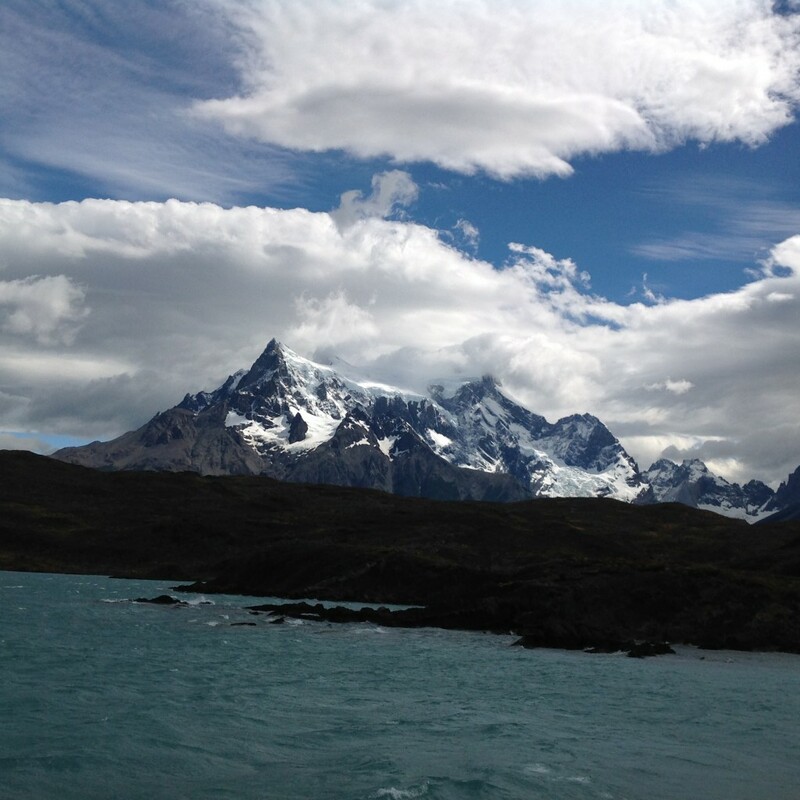 This entry was posted in Reviews, Torres del Paine and tagged accommodation, Dittmar, Guides, Hiking, hotels, Puerto_Natales, refugios, Remota, Review, Torres_del_Paine, W_Circuit, winter on 27th November 2013 by Luke Errington. 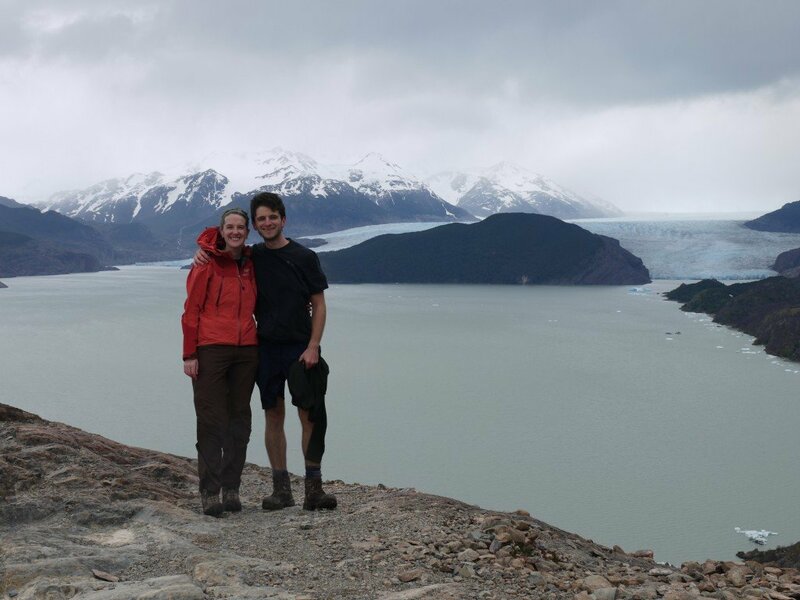 Este recently returned from her trip to Patagonia where she spent 5 days hiking in El Chalten followed by 5 days hiking and kayaking in Torres del Paine using Eco Camp Patagonia as a base. Here she tells us about her adventures and gives us some really great feedback on the local operators and us here at Swoop Patagonia! Had it not been for you guys, this trip would never have happened for me and I am really grateful towards you guys! I had contacted 2 other travel agencies prior to getting in touch with Swoop Travel and neither of them would assist me because I wanted to visit in September, and because I wanted to string together shorter excursions as opposed to doing one longer trip. If Swoop Travel had turned me away I would have given up on the trip all together, so thank you Chloe and Luke for referring me to your partners! I really appreciate all you help and assistance with my many emails and questions! 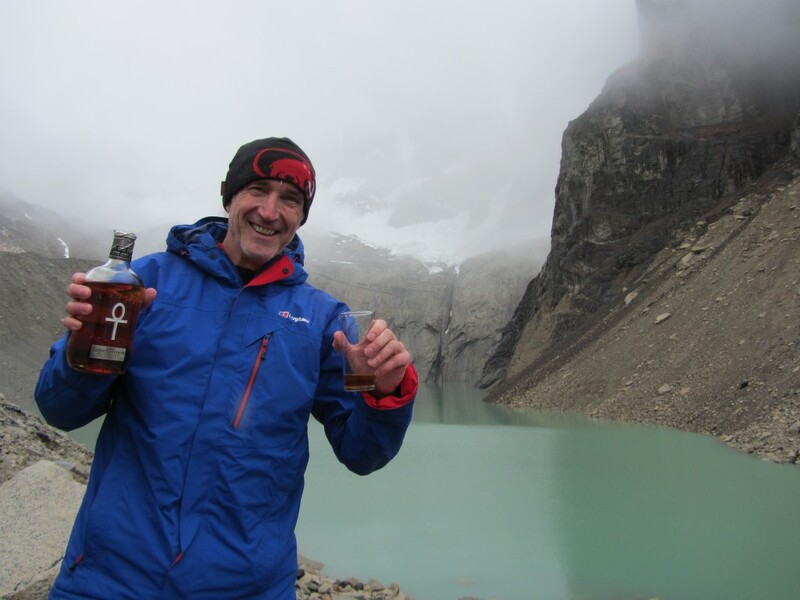 How were our Partners in Patagonia? 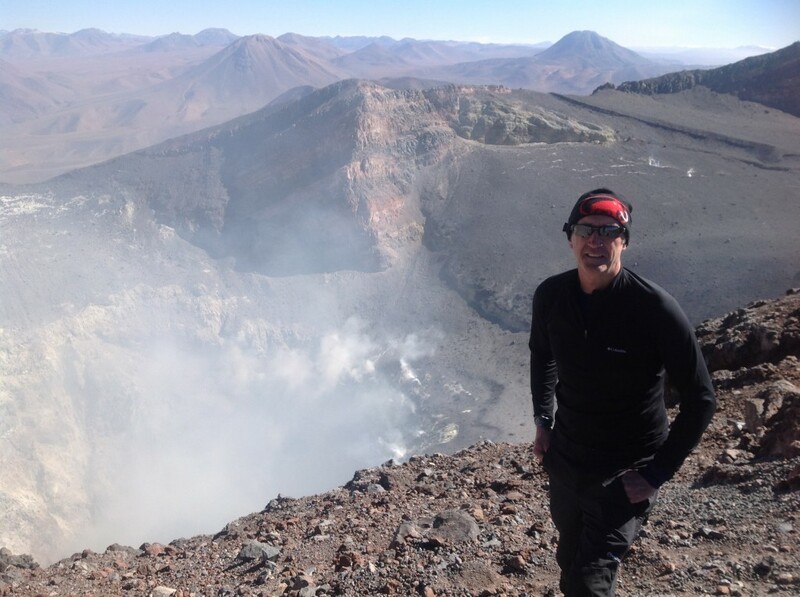 I had an excellent time in El Calafate and El Chalten! Even now, days later, I am still speechless about everything I saw and experienced…I will have to return to El Calafate and El Chalten again! Pedro, my guide in El Chalten was very informative and patient with me taking photos of everything… I would highly recommend him. He not only answered all of my questions but also shared funny stories from previous experiences. Chilé rocked! Ecocamp was great, not only the excursions, but I have an additional 2kg to show for the great food I had there..! All of the guides and staff were professional, knowledgeable and informative, and went the extra mile to arrange a kayaking trip for me, which truly was a dream come true! I did find Ecocamp’s itinerary very rigid, they keep you busy the whole day. I did appreciate it, but I think it can get tiring after 3 days. At some points you just want to kick your feet up and be in the moment. Any Tips for Other Travellers? I found all the places extremely foreigner-friendly. 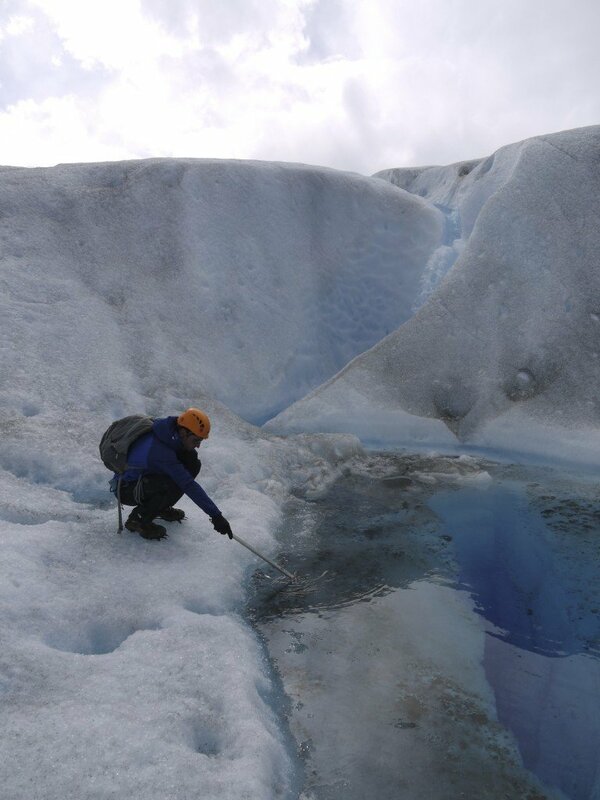 I would really recommend that someone have a semi-rigid itinerary, but allow equal time for unplanned excursions like going to the Glaciarium and Ice Bar, or just strolling around the wetlands in El Calafate. El Chalten is also very solo-hiker friendly. I would emphasize that if someone wants to experience the nature in full, they rather go in September. 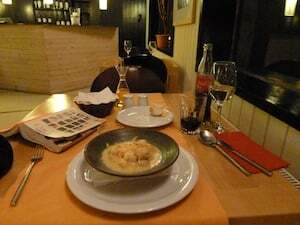 Most restaurants aren’t open in El Chalten at this time, but it’s a good thing. The places that cater for the locals are open. I did a full day solo hike and only saw one other hiker in the distance…I never crossed anyone on the path and this was great! I also noticed that a lot of people catch the 08h00 bus from El Calafate to El Chalten and return the same day at 18h00 which I wouldn’t recommend. I decided to sleep over and catch the 18h00 bus on the following day, you miss too much if you stay for only a couple of hours. There honestly isn’t a thing I would change on my itinerary. If I had an additional day to work with I would have liked to stay one day in Puerto Natales. Lonely Planet did not speak very highly of the town and they don’t recommend staying over there, but I was in the town for only an hour and thought it might be worth checking out in the future. This entry was posted in Hotels, Los Glaciares, Reviews, Things to do, Torres del Paine, Travel Tips and tagged Cascada, Chalten, Eco_Camp, El Calafate, Glaciarium, Grey Glacier, Hiking, Ice Bar, kayaking, Los_Glaciares, Perito_Moreno, Puerto_Natales, Torres_del_Paine, Trekking, Walk Patagonia on 17th October 2013 by Luke Errington. If you find yourself in Puerto Natales before starting your hike in Torres del Paine National Park but don’t have much time to find somewhere for fine dining, head towards a great restaurant in the centre of town called Afrigonia. We speak to Rolando, who visited the restaurant in 2011 as he explains and shows why this African/Patagonian fusion really does work. It’s not hard to see why this is Puerto Natales’ best rated restaurant. 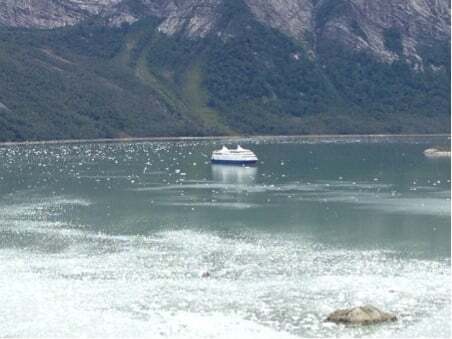 ‘I had heard about Afrigonia before I arrived to Puerto Natales. As it turns out, this restaurant is owned by a charming Zambian and his a Chilean wife, both chefs and hence the reason for Afrigonia’s name. You soon notice the African table décor, soft lighting and a enormous green bank safe transformed into a wine cellar. Afrigonia is not your average restaurant, the food is creative, flavoursome and topped by impeccable service. The atmosphere is relaxed with a mix of locals and foreigners. The menu is not extensive but it is focused on local produce and the prices are more than reasonable, you can get a starter from approximately £5 and a main course of up to £14. This entry was posted in Guest posts and tagged Afrigonia, chile, cuisine, Puerto_Natales, restaurant on 3rd February 2012 by Charlotte Brown. Quite a different experience from the classical style Hotel Kapenke in Calafate, the Hotel and Spa Indigo is located just of the main road in Puerto Natales, with views over Last Hope Sound. I’ve visited Hotel Indigo before and been impressed with both the rooms, spa, decor and restaurant but this time i actually stayed for the night before going into Torres del Paine. If you want to book this hotel, visit our Hotels in Puerto Natales>> page. The Hotel is unique in its style and atmosphere and they’ve created a modern and stylish place to relax, which can be a bit minimalist for some people. However, I would stay there for the spa alone. On this trip in Patagonia I’ve been to a lot of hotels to look at the facilities and of all the hotels, Indigo have done the best spa. On the 4th floord, it’s petite but a lovely area to unwind, with 3 small beds to lounge on and several mini beds too. 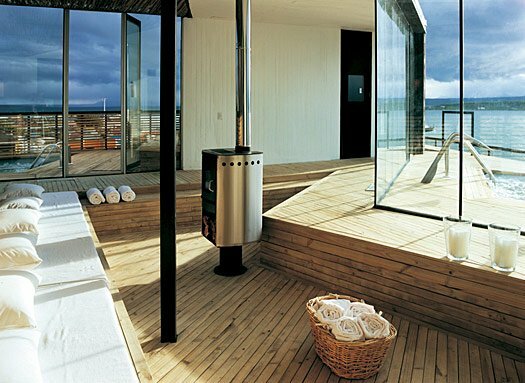 The two jacuzzis are outside on the roof and the water is really hot meaning you can stay out there for ages looking out over the fjord. There are also two massage rooms, with different types of massage on offer (a good place to reward yourself if you’re tired after trekking). However massages incur an extra cost. The food was another serious plus point. I decided to eat in the restaurant as the food looked so good, and I wasn’t disappointed. They had a range of seafood and meat on offer, and I decided to go for the scallops in parmesan cheese which I’ve since learnt is a bit of a speciality in this part of Chile. Needless to say, I didn’t just get one or two scallops like I was expecting, but a whole bowl and it was really filling. As you can see from the photos, breakfast was also plentiful and delicious. It consisted of fresh fruit (kiwi and orange fruit salad), pastries, muffins, hams and cheese, toast and yoghurt. They also offered small jellies which looked interesting. Now onto the all important night’s sleep in the Corner Room (of which there are two).. the corner room had two windows with views out over Last Hope Sound Fjord, which was really nice and meant the room was very light. The open plan bathroom makes the room feel bigger, as does the light coloured wood and decor. It was lovely that whilst I was at dinner someone had come into the room, lit some candles and turned all the lights off apart from a sparkly light strip behind the bed, it made the room feel very relaxed. The bedding was very comfy and the room wasn’t too hot or too cold which I was pleased about as I’ve generally found that the heating gets turned up pretty highly in Patagonian hotels when it’s cold outside. My only qualm with my night at Indigo would be that I heard people opening doors during the night/early morning which woke me up, but I am a very light sleeper, so that probably didn’t help. I usually take earplugs wherever I go to avoid this, but I forgot to put them in..
To book your night at Hotel Indigo or to browse over 30 hotels in Puerto Natales, visit our Hotels in Puerto Natales>> page. 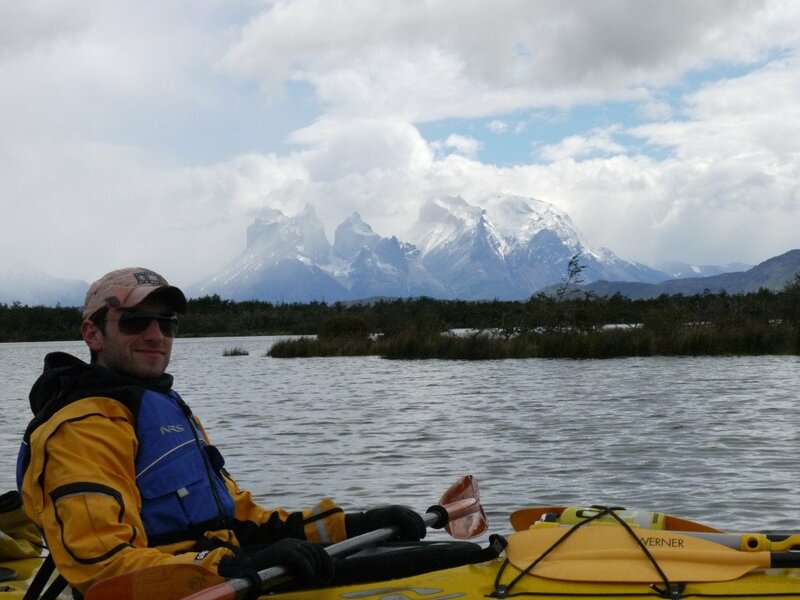 This entry was posted in Hotels, Reviews and tagged chile, hotels, Indigo, patagonia, Puerto_Natales, Review on 8th October 2011 by Charlotte Brown.